Classes open to the community; after school and on Saturdays. 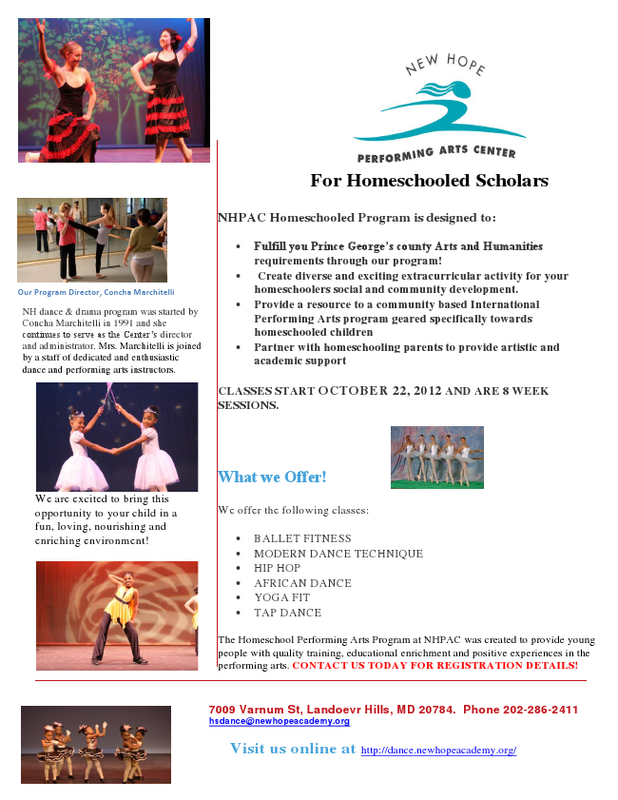 New Hope Performing Arts Center Home School Program! Thank you everybody for making it possible.